Best known for The Bell Jar, poet and novelist Sylvia Plath explored the themes of death, self, and nature in works that expressed her uncertain attitude toward the universe. Sylvia Plath was born in Boston, Massachusetts, on October 27, 1932, to Otto and Aurelia Plath. Her father, a professor of biology (the study of plant and animal life) at Boston University and a well-respected authority on bees, died when she was eight years old. She was left with feelings of grief, guilt, and anger that would haunt her for life and led her to create most of her poetry. Plath gave the appearance of being a socially well-adjusted child. She was also an excellent student who dazzled her teachers in the Winthrop, Massachusetts, public school system and earned straight A's and praise for her writing abilities. She was just eight and a half when her first poem was published in the Boston Herald. 1950 Plath entered Smith College in Northhampton, Massachusetts, on a scholarship (money given to a gifted student to attend college). There she once again excelled in her studies academically and socially. Referred to as "the golden girl" by teachers and peers, she planned her writing career in detail. She filled notebooks with stories and poems, shaping her words carefully and winning many awards. In August 1952 Plath won a fiction contest held by Mademoiselle, earning her a position as guest editor at the magazine in June 1953. Her experiences in New York City, were depressing and later became the basis for her novel The Bell Jar (1963). Upon her return home Plath, tired of her image as the All-American girl, suffered a serious mental breakdown, tried to kill herself, and was given shock treatments. In February 1953 she had recovered enough to return to Smith College. She graduated and won a Fulbright scholarship to Cambridge University in England, where she met her future husband, the poet Ted Hughes (1930–1998). They were married in June 1956 in London, England. 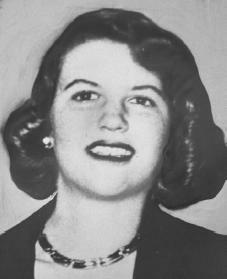 After Plath earned her graduate degree, she returned to America to accept a teaching position at Smith for the 1957–1958 school year. She quit after a year to devote all her time to writing. For a while she attended a poetry course given by American poet Robert Lowell (1917–1977), where she met American poet Anne Sexton (1928–1974). Sexton's and Lowell's influences were important to her development as a poet. Both urged her to write about very private subjects. Plath and her husband were invited as writers-in-residence to Yaddo, in Saratoga Springs, New York, where they lived and worked for two months. It was here that Plath completed many of the poems collected in The Colossus (1960), her first volume of poems. Her first child, Frieda, was born in 1960. Another child, Nicholas, was born two years later. The Colossus was praised by critics for its "fine craft" and "brooding [anxious] sense of danger and lurking horror" at man's place in the universe. But it was criticized for its absence of a personal voice. Not until "Three Women: A Monologue for Three Voices" (1962)—a radio play that was considered a key work by some critics—would Plath begin to free her style and write more natural, less narrative (telling a story) poetry. "Three Women" is like much of Plath's later poetry in that its structure is dramatic and expresses the highly personal themes that mark her work. As Plath's poetry developed, it became more autobiographical (about her own life) and private. Almost all the poems in Ariel (1965), considered her finest work and written during the last few months of her life, are personal accounts of her anger, insecurity, fear, and tremendous sense of loneliness and death. She had found the voice that she had tried to express for so long. Violent and vivid in its description of suicide, death, and brutality, Ariel shocked critics, especially several poems that compare her father to a member of the Nazis (members of the ruling party in Germany, 1933–45, who killed six million Jewish people during World War II [1939–45], which was a war fought between Great Britain, France, the Soviet Union and the United States against Germany, Italy, and Japan). Plath could not escape the tragedy that invaded and took over her personal life. By February 1963 her marriage had ended. She was ill and living on the edge of another breakdown while caring for two small children in a small apartment in London, England, during the coldest winter in years. On February 11 she killed herself. The last thing she did was to leave her children two mugs of milk and a plate of buttered bread. In later poetry published after her death in Crossing The Water (1971) and Winter Trees (1971), Plath voiced her long-hidden rage over "years of doubleness, smiles, and compromise." A more complete look into Plath's tortured mind was possible following the publication in 2002 of The Unabridged Journals of Sylvia Plath, 1950–1962. Although Sylvia Plath is often regarded by critics as the poet of death, her final poems, which deal with the self and how it goes about living in a destructive, materialistic (focused on the acquiring of material wealth) world, clearly express her need for faith in the healing powers of art. Alexander, Paul. Rough Magic: A Biography of Sylvia Plath. New York: Viking, 1991, revised edition 1999. Butscher, Edward. Sylvia Plath: Method and Madness. New York: Seabury Press, 1976. Rosenblatt, Jon. Sylvia Plath: The Poetry of Initiation. Chapel Hill: University of North Carolina Press, 1979. Wagner-Martin, Linda. Sylvia Plath: A Literary Life. New York: St. Martin's Press, 1999.